Fortunately, it no longer exists. Unfortunately, there are still places in the city that are comparable. What r McClure flats? When were they there and were they on grand and if so when? 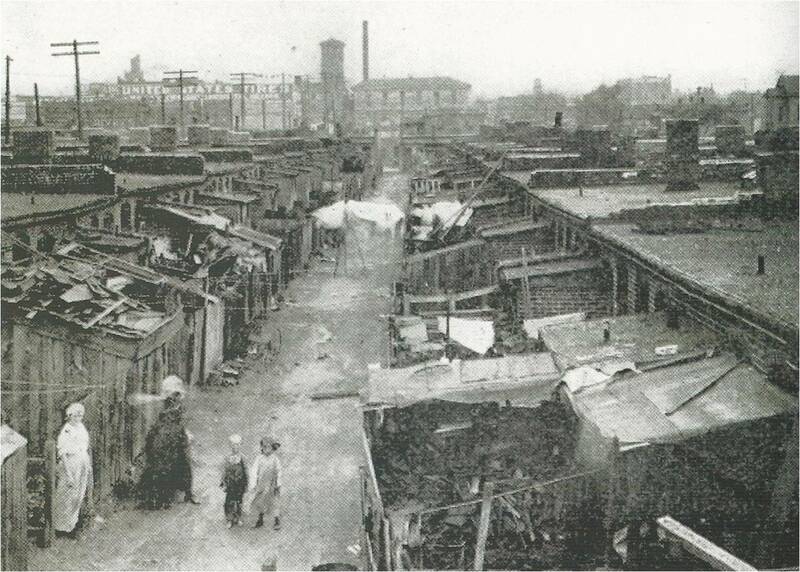 McClure Flats was a vermin infested slum area populated by immigrants around the turn of the 20th century. It was located at 20th and Grand in Kansas City, Missouri. The area is now a parking lot. Can you speak of the population(s) living there. And what industies (if any) employed them?